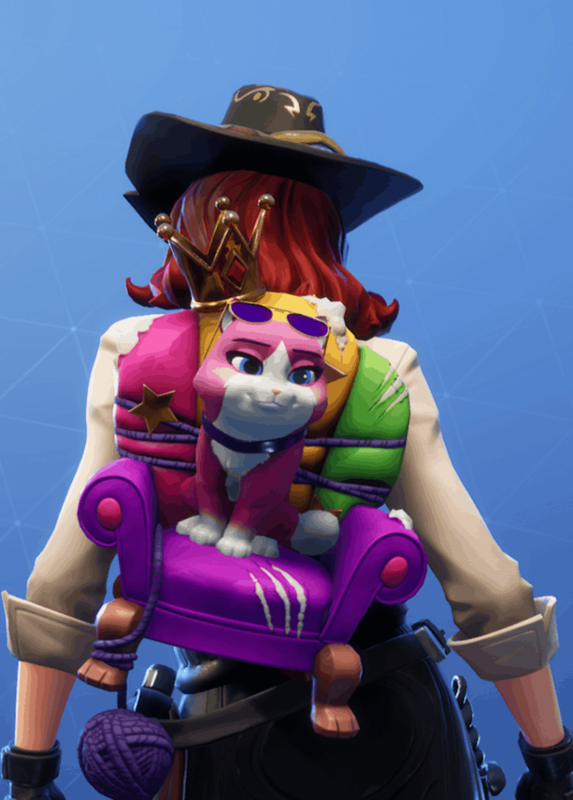 A new season always comes with a lot of new cosmetics, and that, of course, includes new back bling. 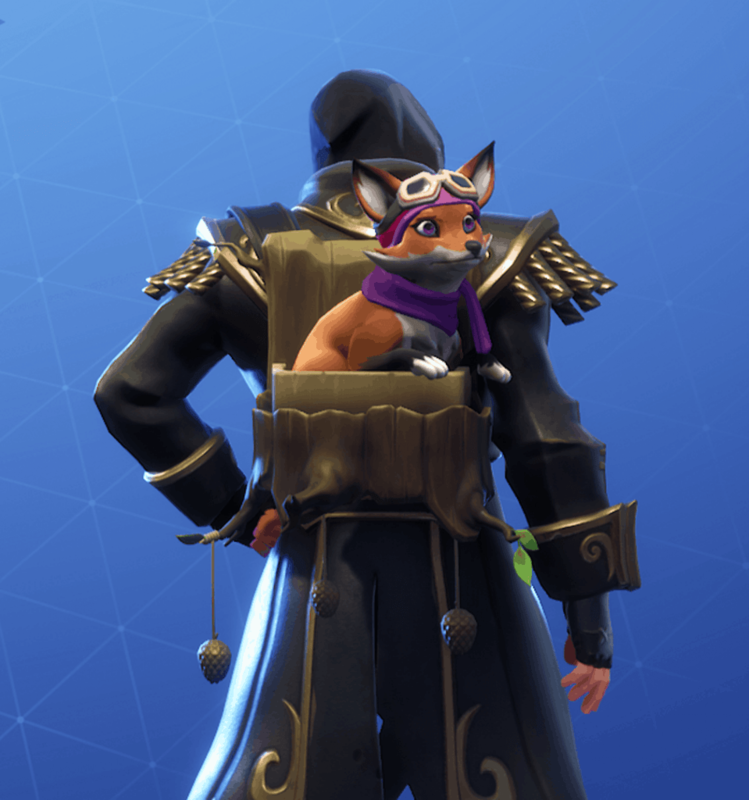 If you are looking for that perfect back bling to finish your favorite outfit set, season 8 might just what you’re looking for. Here you’ll find all the new back bling that has been released in season 8. We will include back bling from both the battle pass and the item shop. 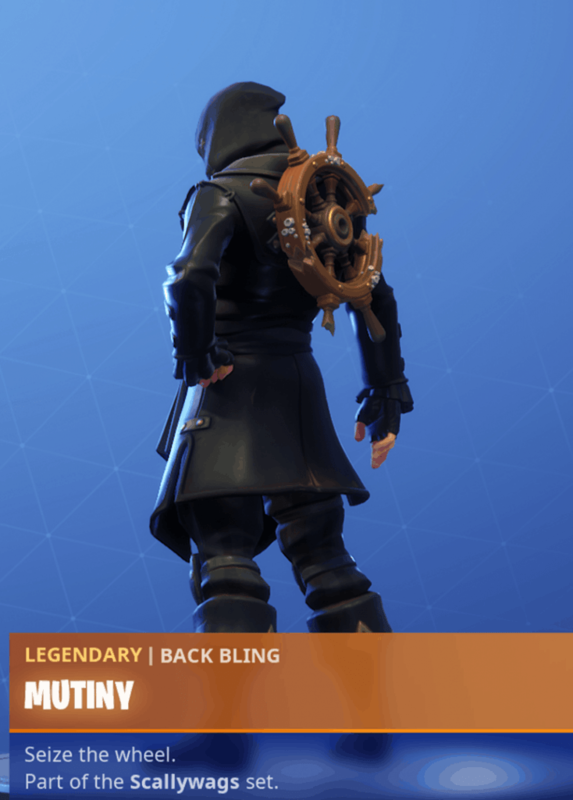 This post will be updated throughout the season as more back bling is released. You unlock the Cobra back bling at tier 7 of the season 8 battle pass. The Master Portal back bling is unlocked at tier 22 of the season 8 battle pass. 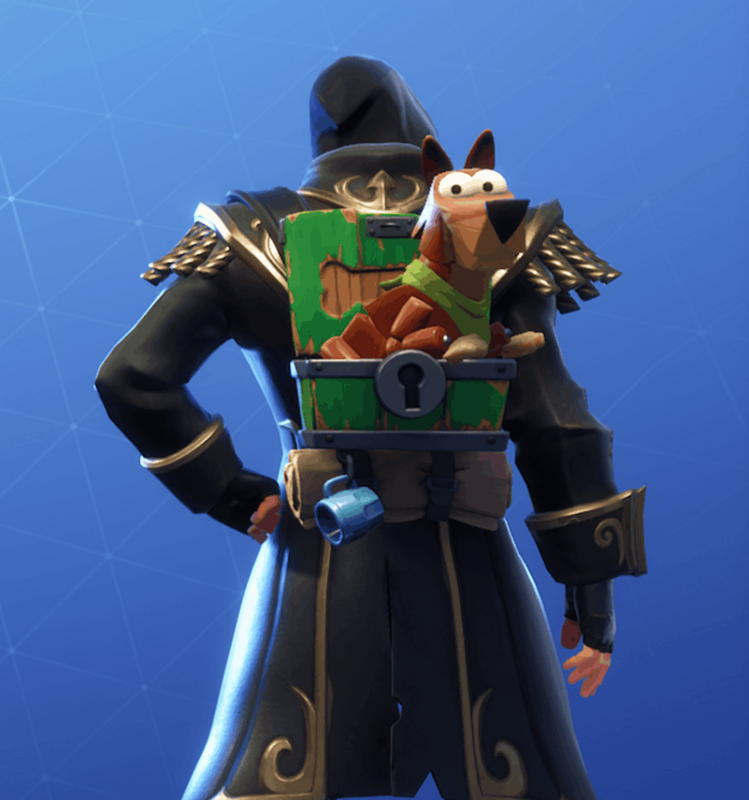 This back bling can be unlocked without having the upgraded battle pass. 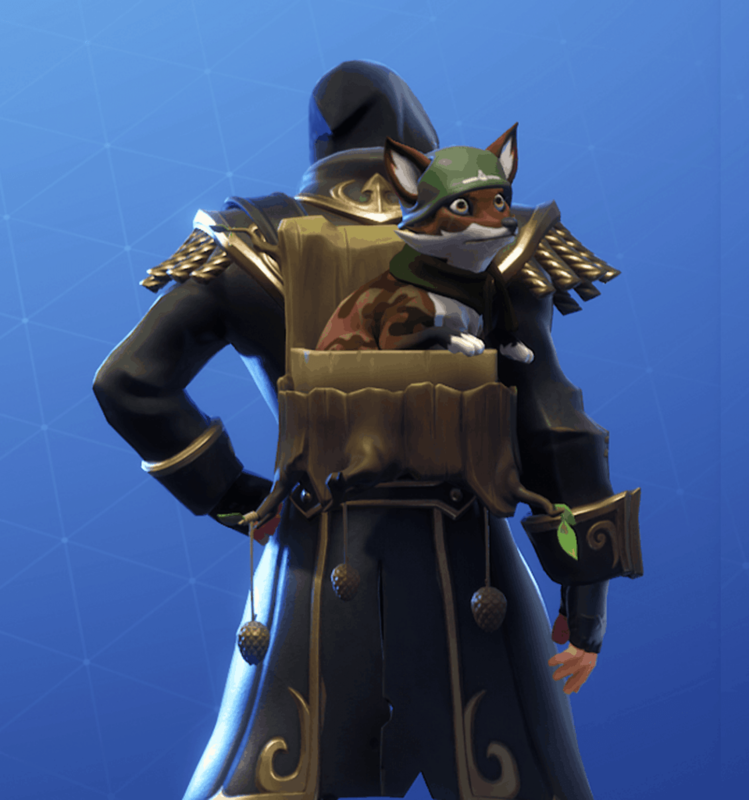 The Woodsy back bling is unlocked at tier 19. Additional styles are unlocked at tier 35 and tier 83. 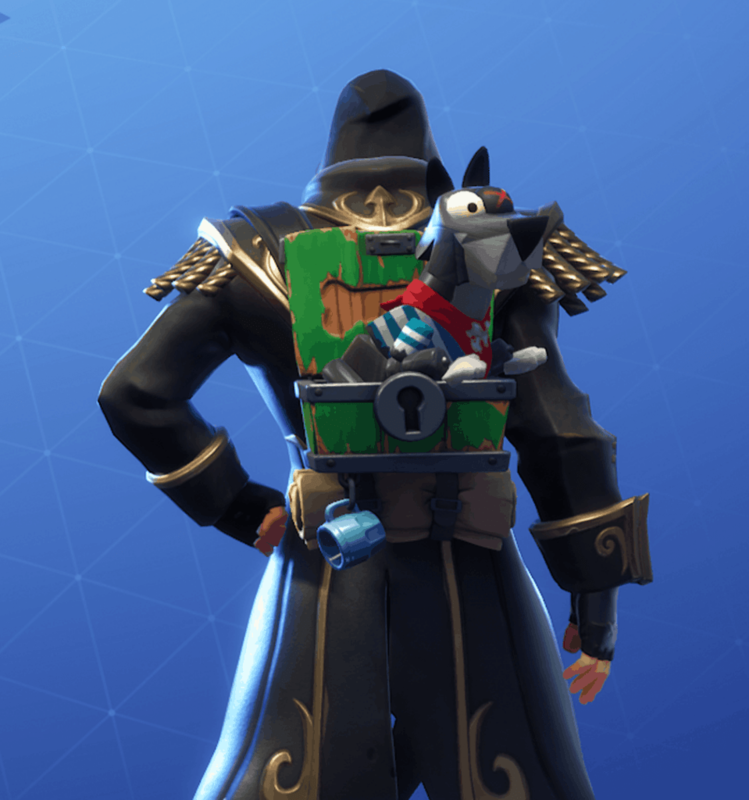 Dodger back bling is unlocked at tier 52 with additional styles unlocked at tier 67 and tier 93. The Mutiny back black is unlocked by gathering 320k xp in the Blackheart style challenges. The Blackheart skin is unlocked as soon as you purchase the season 8 battle pass. The High Caliber back bling is unlocked through Luxe challenges, which are unlocked at tier 100 of the season 8 battle pass. 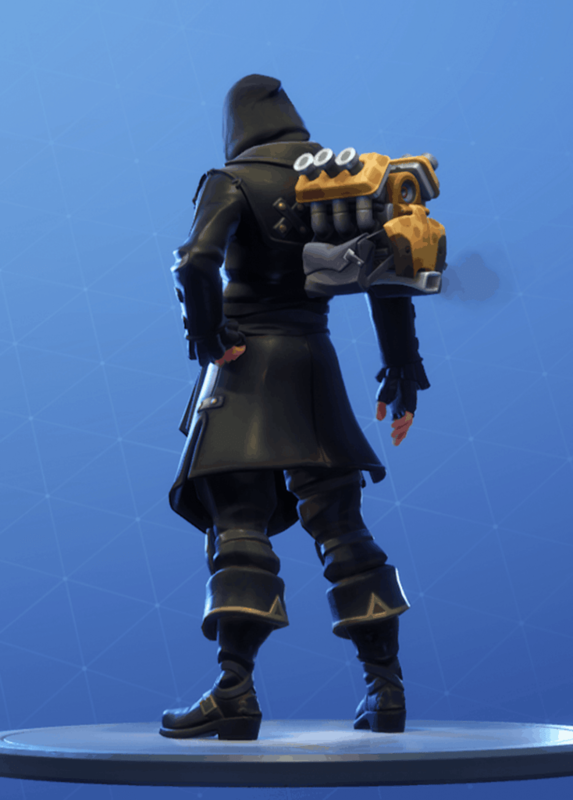 Bendie Inflator back bling was first seen on the item shop on the 1st of March 2019. Comes with the Bendie skins at a cost of 1200 V-Bucks. Rarity is common. Twistie Inflator back bling was first seen on the item shop on the 1st of March 2019. Comes with the Bendie skins at a cost of 1200 V-Bucks. Rarity is common. Previously only avaliable through purchase of specific nvidia graphics card, but now purchasable on the item shop. 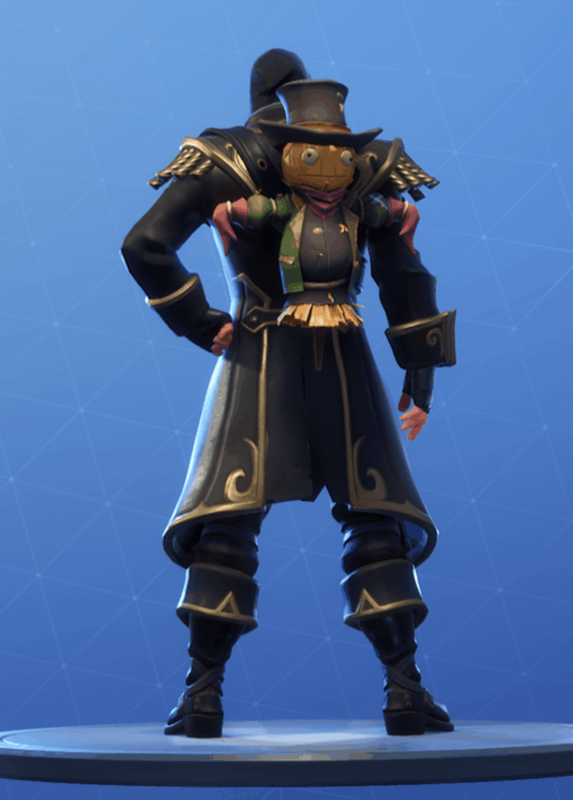 This skin first hit the item shop the 2nd of March 2019. 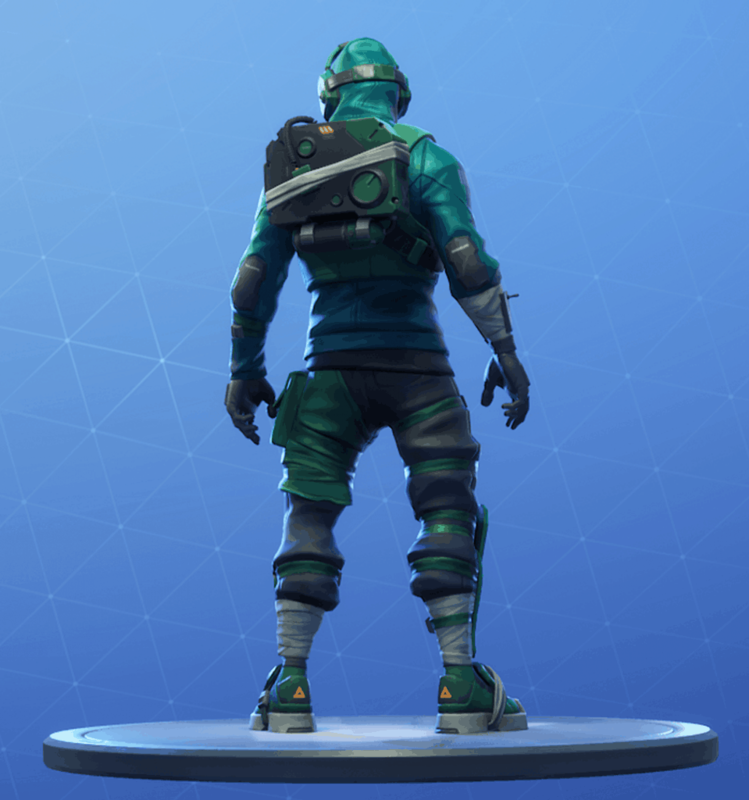 The Oscilloscope back bling hit the item shop the 5th of March 2019. 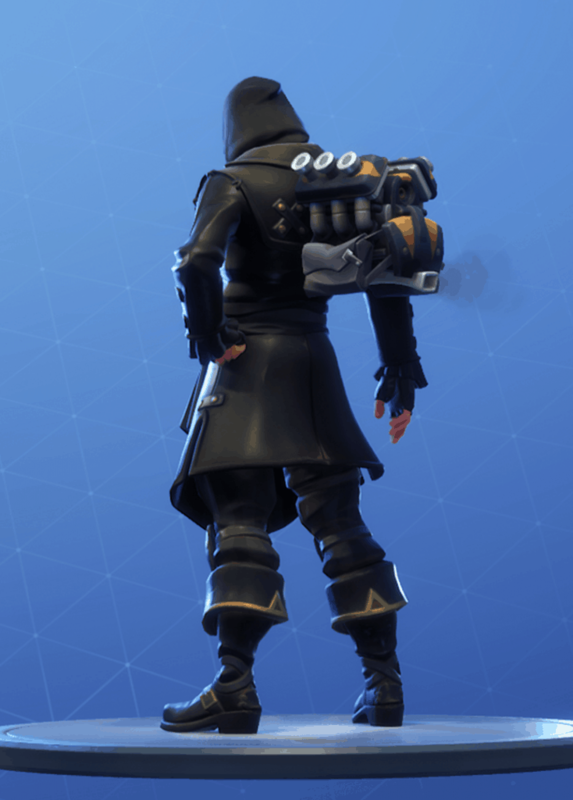 This back bling is part of the Hypernova skin outfit and comes at a price of 1200 V-Bucks. 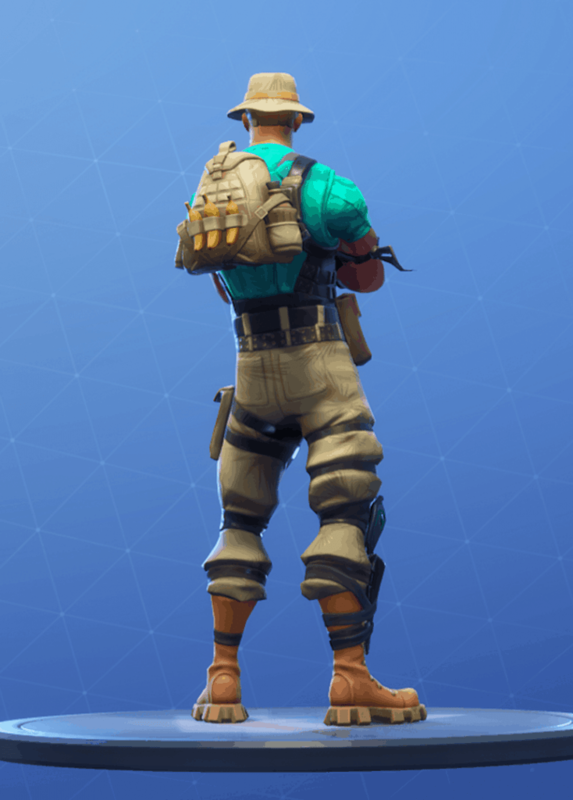 The Haystacks back bling hit the item shop for the first time on the 6th of March 2019. 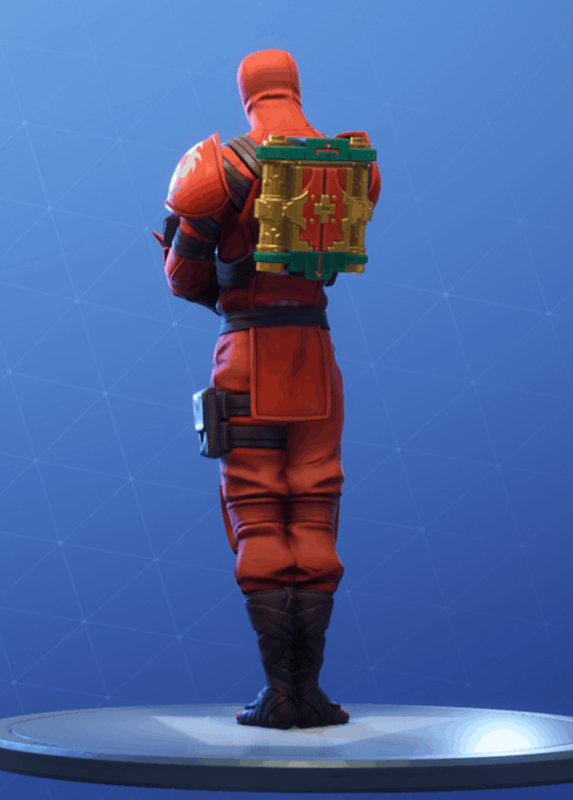 This back bling is uncommon and costs 200 V-Bucks. 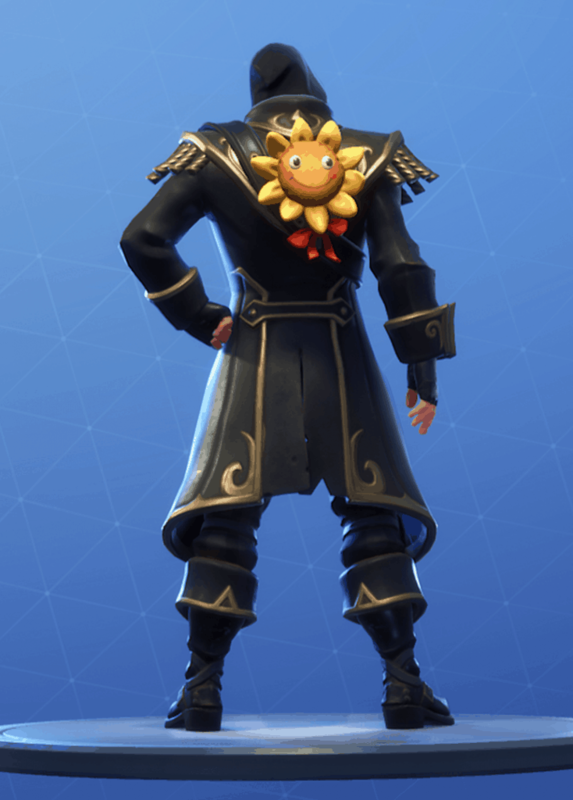 The Sun Sprout back bling hit the item shop for the first time on the 6th of March 2019. 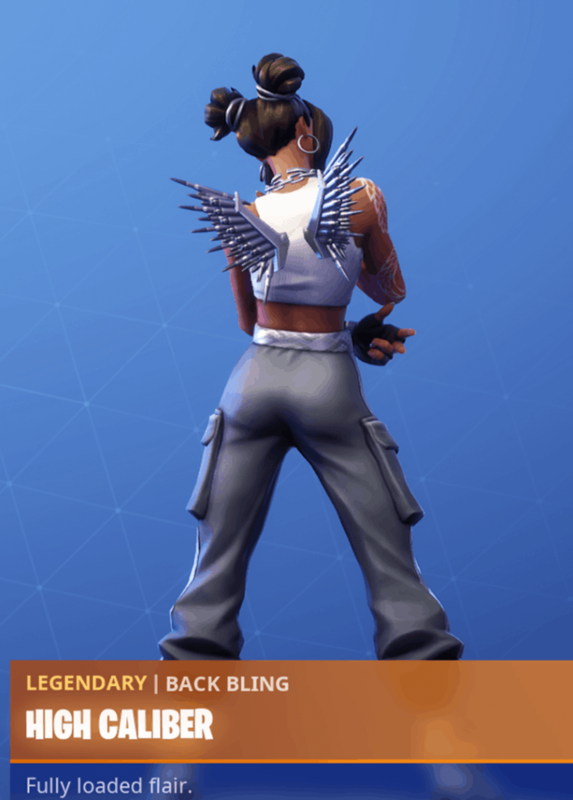 This back bling is uncommon and costs 200 V-Bucks. 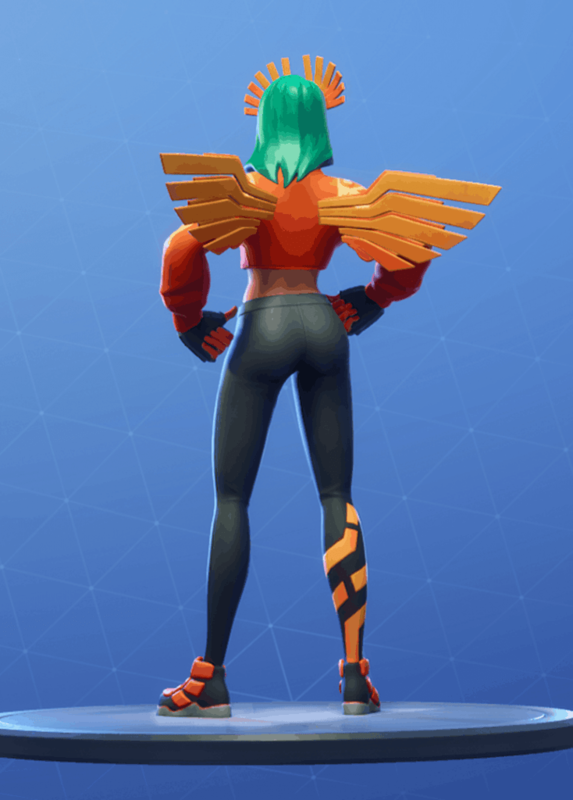 The Sun Wings back bling was released on the item shop on the 8th of March 2019. 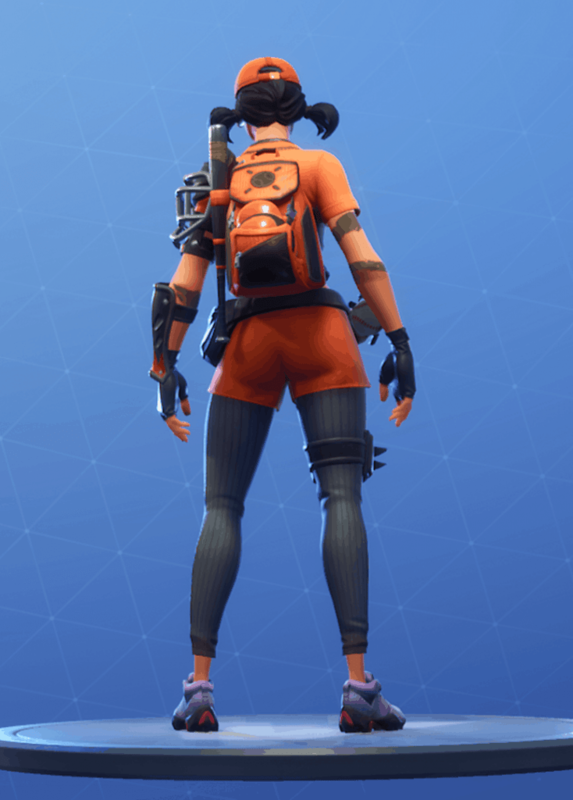 This back bling is part of the Sunbird skin set which costs 1200 V-Bucks. 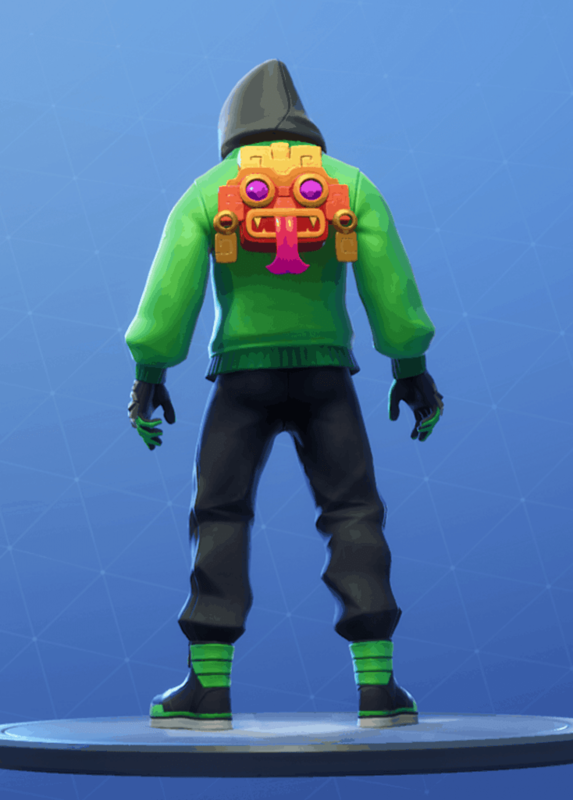 The Hypnotic back bling was released on the item shop on the 8th of March 2019. 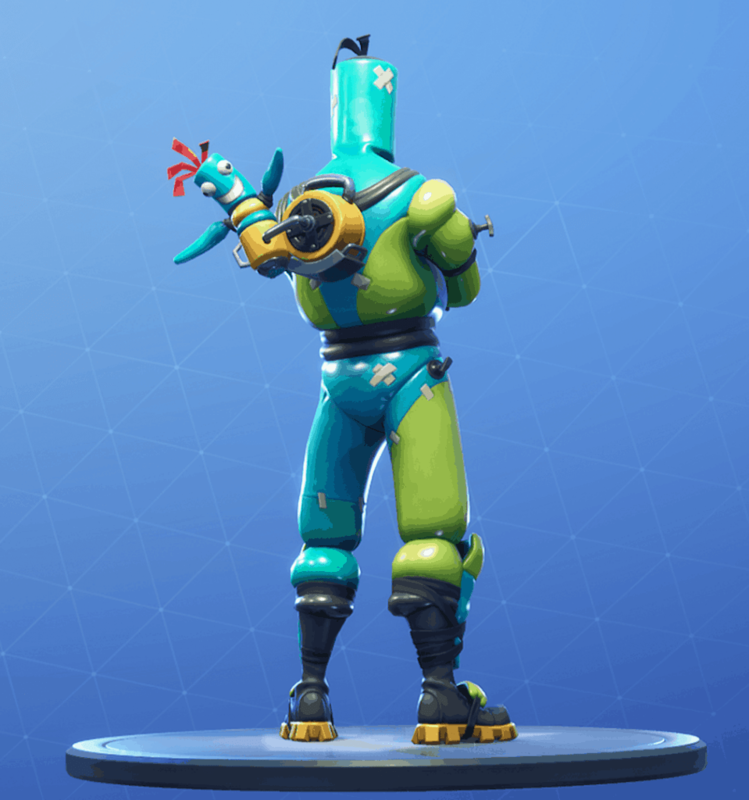 It is part of the Mezmer skin set which costs 1200 V-Bucks. The Banana Bag back bling was released on the item shop on the 13th of March 2019. It is part of the Marino skin which costs 1200 V-Bucks. The Empress back bling was released on the item shop on the 15th of March 2019. Empress is an epic back bling that costs 1000 V-Bucks. The Dual Kama back bling was released on the item shop on the 16th of March 2019. Dual Kama is part of the Falcon Clan. 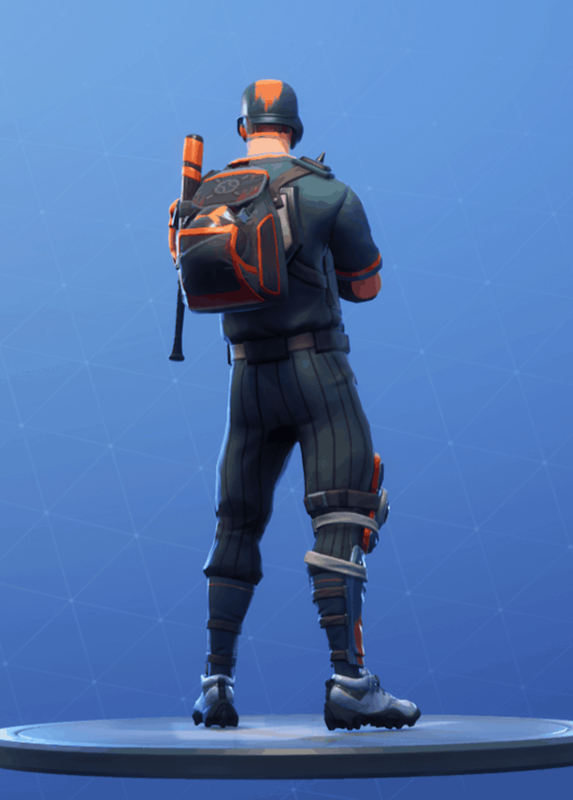 You get the Dual Kama back bling when you purchase the epic Kuno skin for 1500 V-Bucks. The Katana & Kunai back bling was released on the item shop on the 16th of March 2019. It is part of the Falcon Clan set. 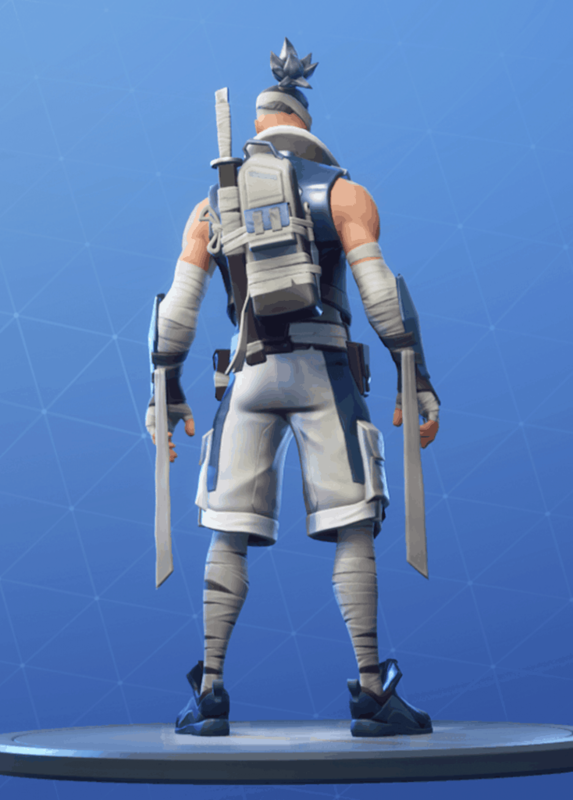 You get the Katana & Kunai back bling when you purchase the epic Kenji for 1500 V-Bucks. The Commission back bling was released on the item shop on the 20th of March 2019. Commission is part of the Axiom skin set. 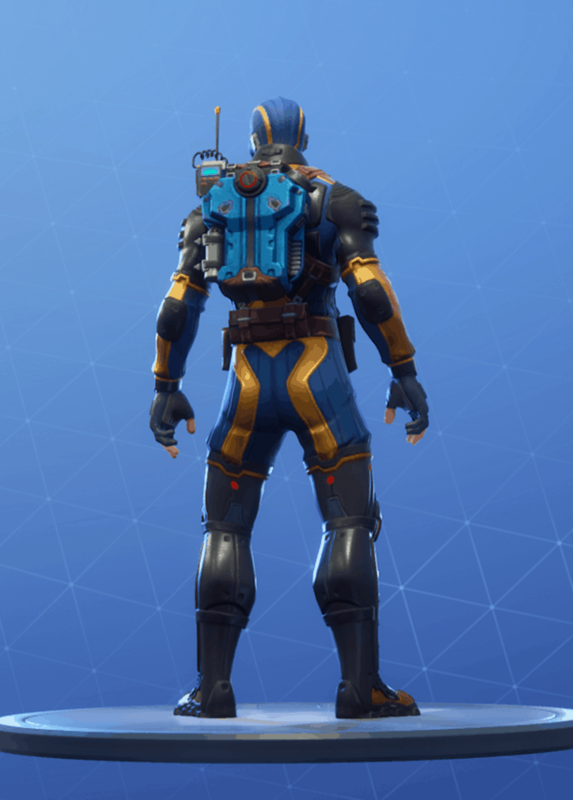 This back bling is rare and costs 1200 V-Bucks with the Axiom skin. 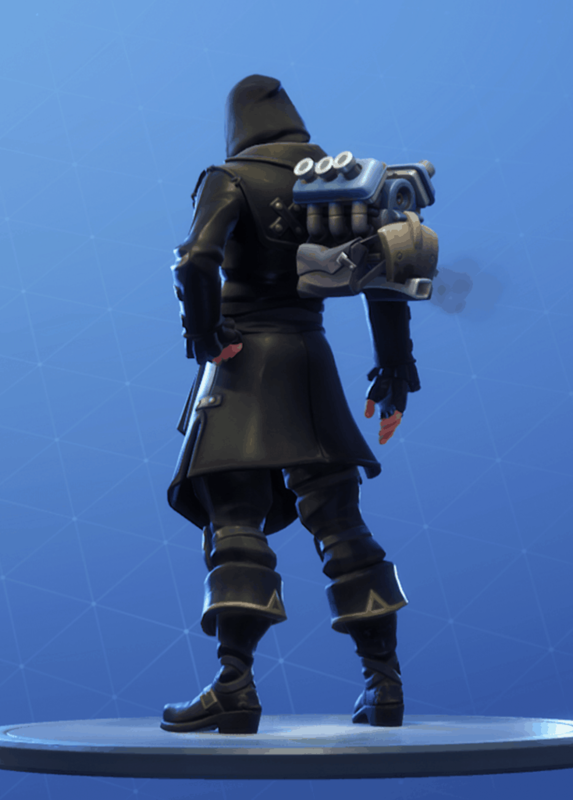 The Omission back bling was released on the item shop on the 20th of March 2019. It is part of the Psion skin set. 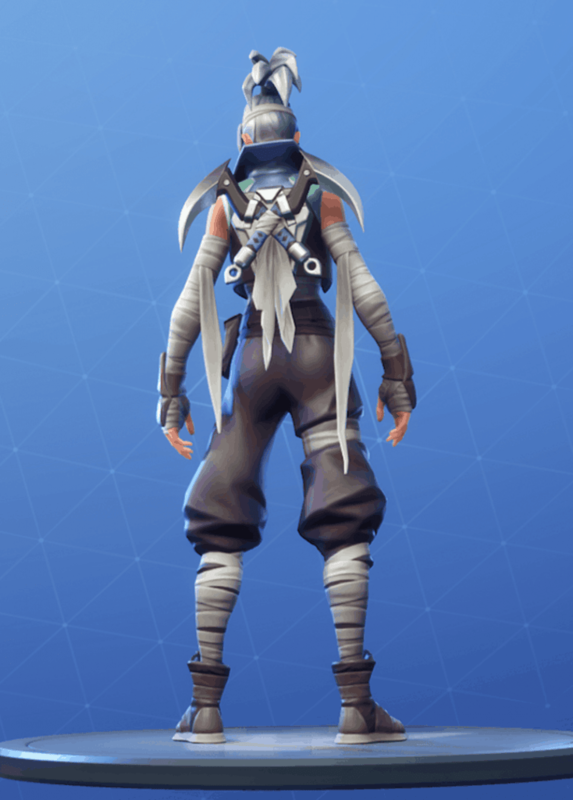 It is rare and costs 1200 V-Bucks with the Psion skin. 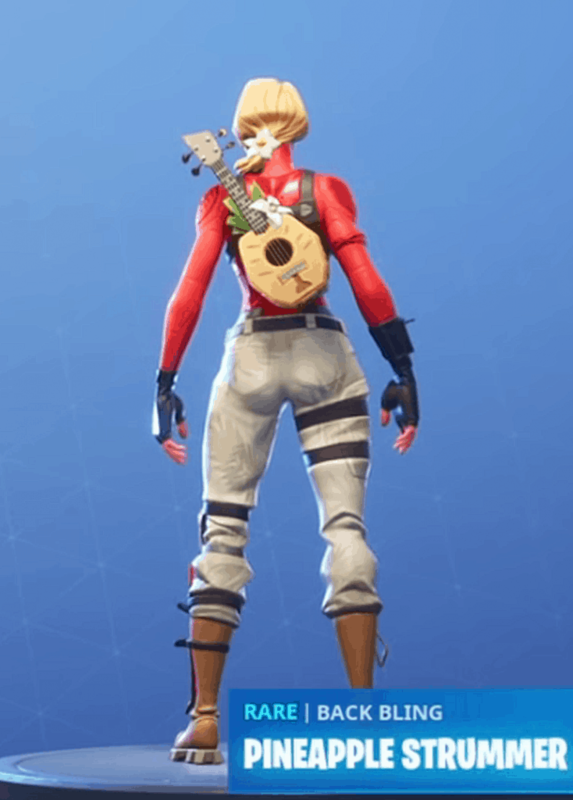 The Pineapple Strummer back bling is part of the starter package of season 8. 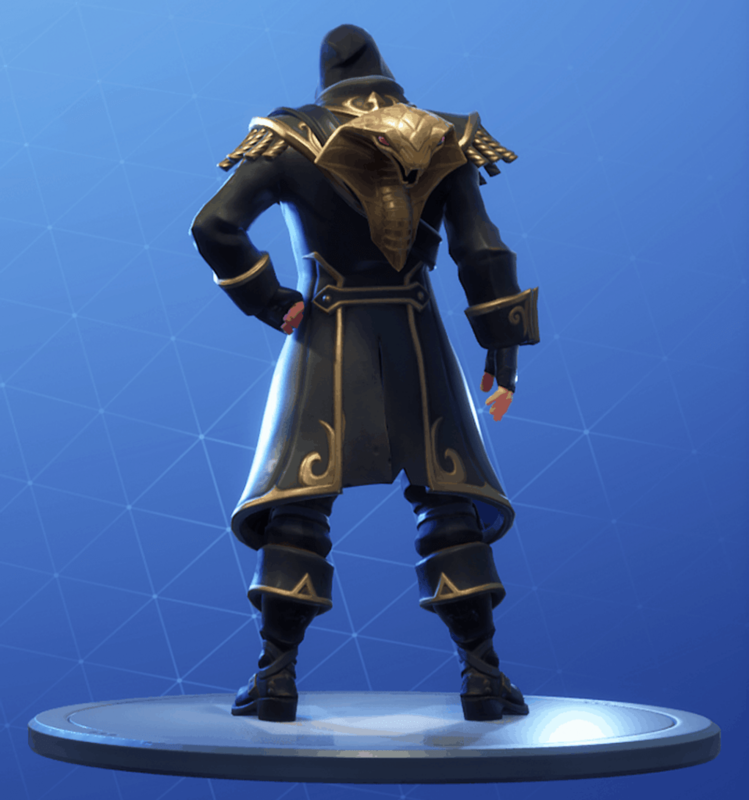 It costs $5 and is a rare piece of back bling. 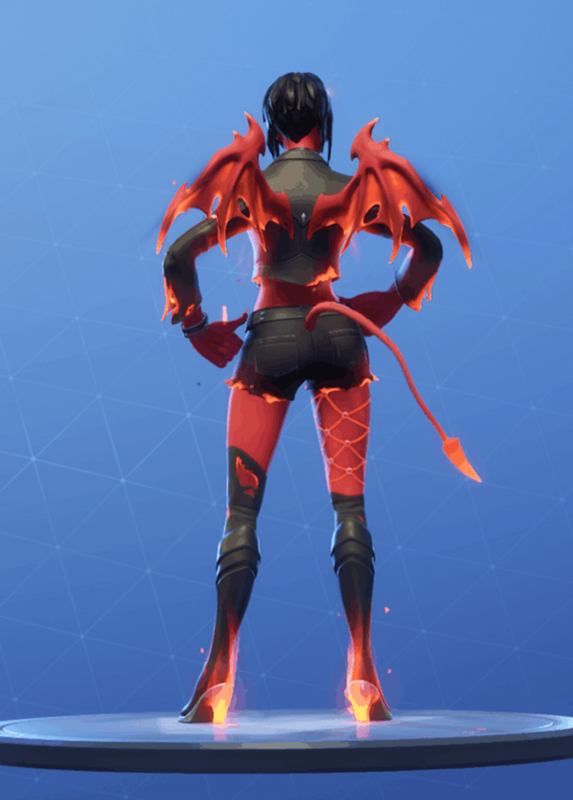 The Malice Wings back bling was released on the item shop on the 22nd of March 2019. This back bling is legendary and comes with the Malice skin that costs 2000 V-Bucks. 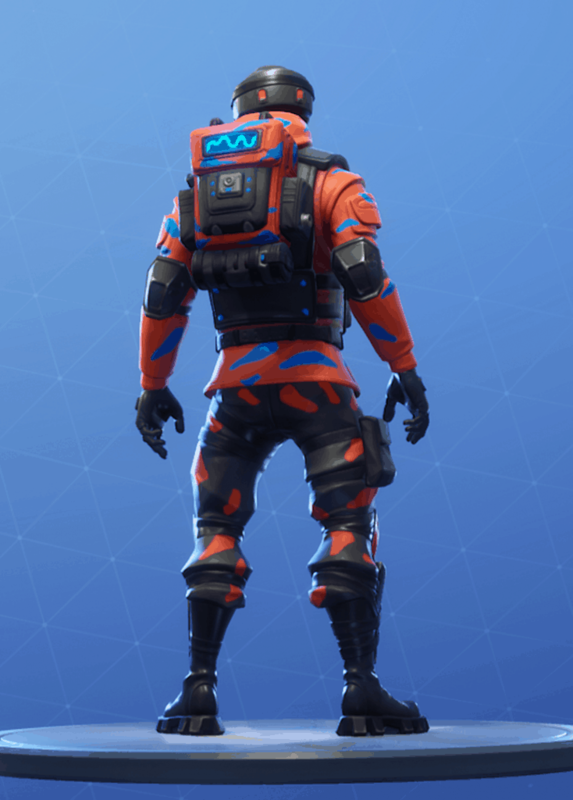 The V6 back bling was released on the 23rd of March 2019. V6 is part of the Beastmode skin set which costs 1500 V-Bucks and is of epic rarity. 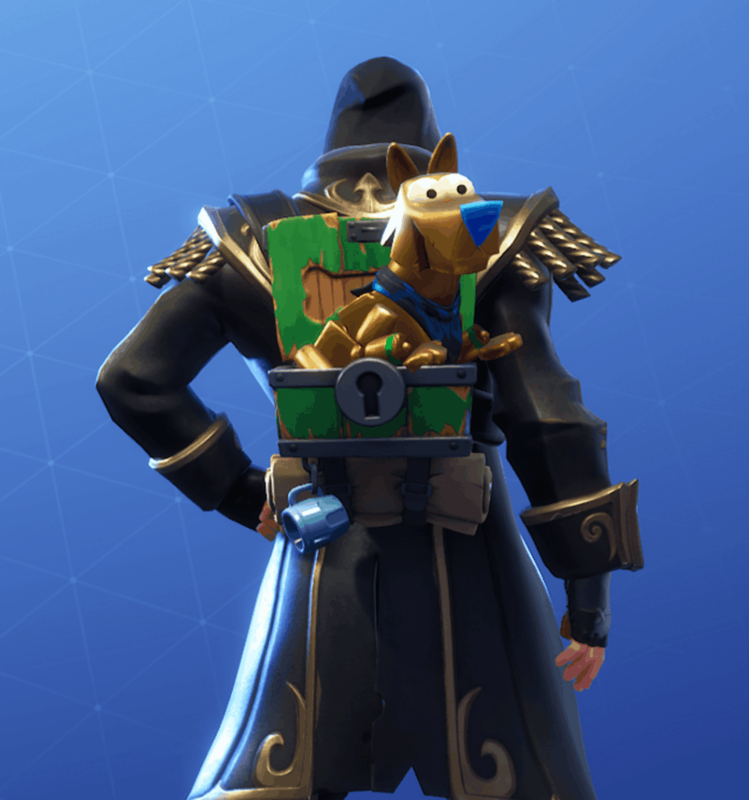 The Double Play back bling was released on the 28th of March 2019. Double Play is part of the Fast Ball skin set, which is a rare skin that costs 1200 V-Bucks. The Strike Zone back bling was released on the item shop on the 28th of March 2019. Strike Zone is part of the Slugger skit set, which is a rare skin that costs 1200 V-Bucks.